For a lot of people who celebrate, Christmas preparations dominate a large portion of the year. Before Halloween is even over, candy canes and advent calendars are being sold in stores, and by the time November rolls around, “Winter Wonderland” has been played a hundred times over in every mall. People spend countless hours picking out gifts for their family, friends, coworkers and significant others. They prepare for the annual celebration by cooking traditional foods and finally gathering together with the ones they love. Christmas is often associated with Christian religious traditions and the commemoration of the birth of Jesus Christ. But because it is a public holiday, it is celebrated by millions of people around the world and many of those people have no religious affiliations with Christianity. Not too many other holidays in Western culture have that kind of unifying power. The holiday is about more than just its religious origins, although those are important, it also holds weight in a cultural aspect. One of the core aspects of the holiday is known to be gift giving and exchanging. Exchanging gifts is symbolic of love and friendship for many people, and holds religious context as well (i.e. when the disciples brought frankincense, gold and myrrh to baby Jesus). I’ve heard many people denounce the commercialist aspect of holidays that inevitably follows suit with the celebrations. But if you think about it, commercialism only adds to the festivity and joy of Christmas. There is definitely a universality to the holiday; it doesn’t matter who you are or what you believe in, giving and receiving gifts is a great feeling, so it’s no wonder that so many people choose to participate in Christmas. There is no rule book that explicitly states that you have to endorse whatever you perceive to be the commercialism of Christmas. Take the five love languages, for example. It outlines the ways that people most often express or accept love; receiving gifts, quality time, words of affirmation, acts of service or devotion and physical touch. 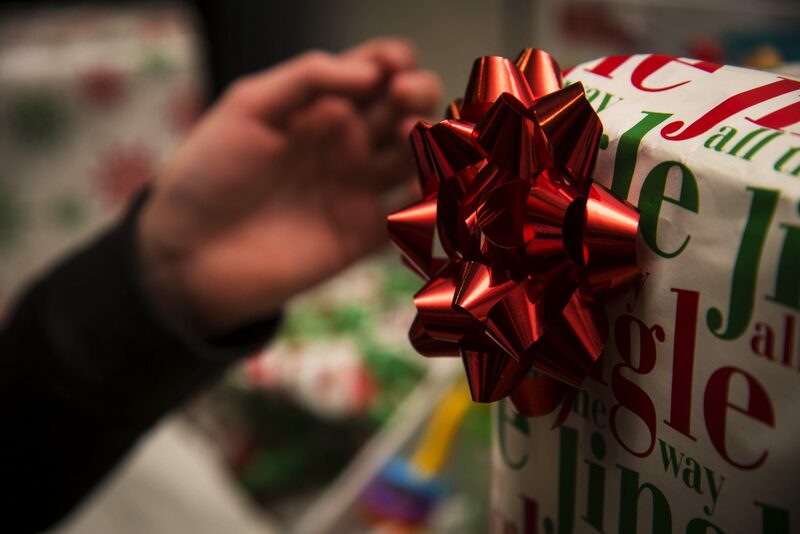 While gift giving and receiving may be the most obvious one, several, if not most, of the love languages are expressed during the holiday season time as well. For a lot of people, Christmas is a time where they can express forms of love that they otherwise might not be able to express for whatever reason. Obviously, there is a certain degree of commercialism intertwined with Christmas, just like any other holiday. But the whole point of giving gifts is the selflessness of it. Commercialism only serves to endorse that. The ads that are often featured during the holiday focus mainly on giving, rather than taking, and that money is better spent when it is being spent on someone else. During the holiday season, people are more inclined to be selfless, not only to their friends and family, but to those in need as well. Charitable giving is known to increase during the holiday season, with about 20 per cent of all charitable donations being made in December alone. Even if you don’t have excess money to spend, you can still donate your time, or create a memorable experience for someone else, which in some ways is even more valuable than a material purchase. The influx of shopping that happens during the holiday season greatly benefits companies and retailers, and it is a greatly profitable time. But if you’re still worried about becoming too commercialized during the holidays, try shopping local. Do and buy only what you feel you are able to, there are countless ways to express love and gratitude without spending a single dollar.